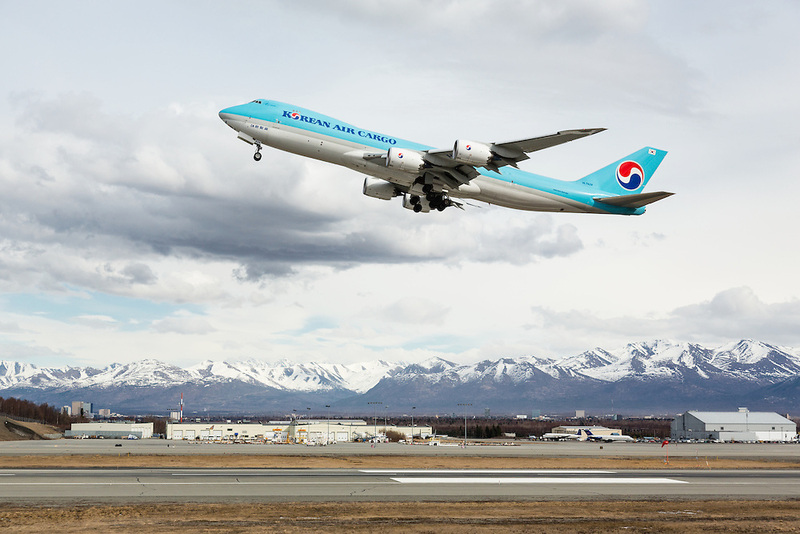 Korean Air Cargo jet taking off from Ted Stevens Anchorage International Airport in Southcentral Alaska with the Chugach Mountains in the background. Spring. Afternoon.